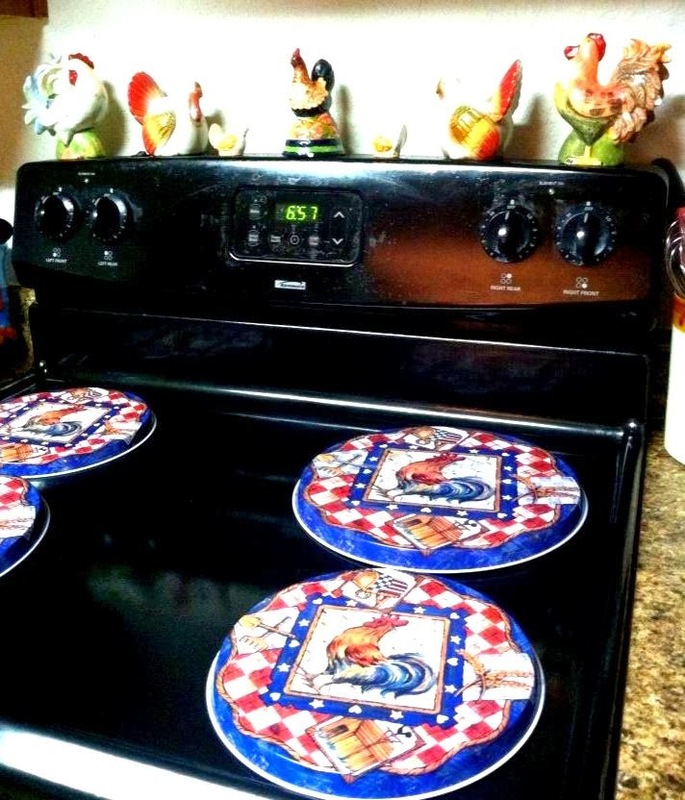 I love decorative stove burner covers! I have quite a few of them over the years. They serve a dual purpose. When placed over a set of messy stove burners, they conceal the mess. Aside from that they also create an extra workspace for meal preparation when the stove top is not in use. 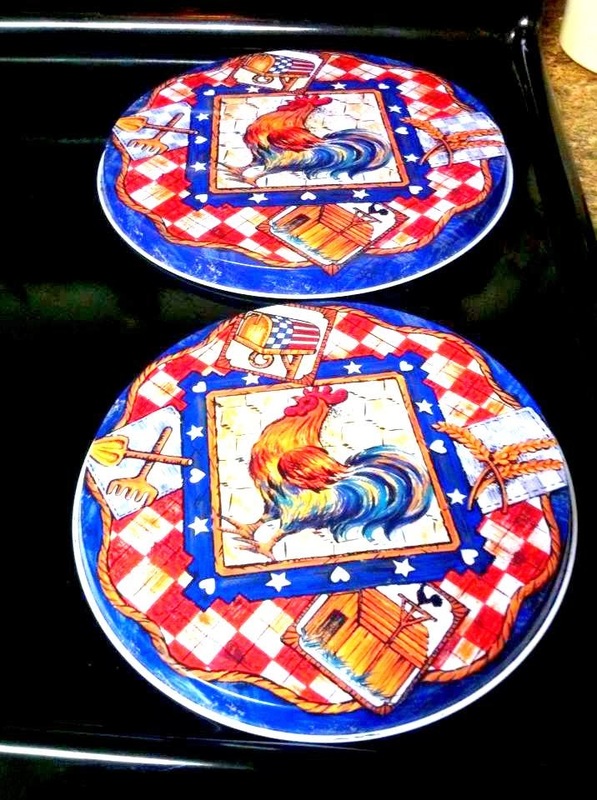 I'm loving my new rooster stove burner covers that I got from Walmart. It's time to get rid of my "Apples" stove covers. I like how they complement with my stove decors. ...and I buy mine from my fave store: Dollar Tree! Nyahaha!